Read some of our testimonials to understand why SCSOPA is the best and what we will do for you! Paige has always been first to volunteer to sing, dance and act at school, so it came as no surprise when she said she wanted to do those things on television. We were looking for a place to take some acting classes and came across Santa Clarita School of Performing Arts. I signed up with them because the owner was so genuine and understanding and his beliefs spoke to mine. Paige started taking classes in October and by January she signed with an agent. Since then, we've been busy! 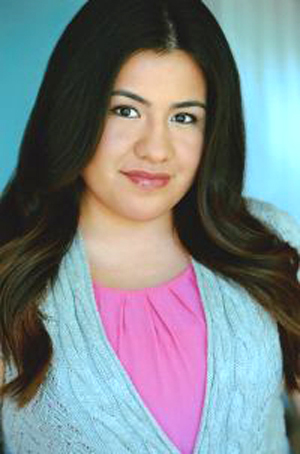 She has been in two short films, three music videos and a pilot for a teen streaming show. In the latest music video, Paige was featured for the first 20 seconds! We want to thank the staff at Santa Clarita School of Performing Arts for helping to make her dreams come true; it wouldn't be possible without them. My name is Keitrell Hamilton and I'm 25. When I was younger, I enjoyed making friends and family laugh. Seeing tears in their eyes from laughing so hard brought me happiness. My passion was stand-up comedy - but I later found another passion in acting. My introduction to that industry came as an 'extra,' but I soon realized I wanted to be a lead actor. I knew acting school was essential for my dream. 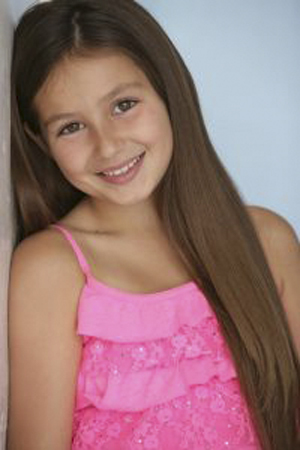 I signed up at Santa Clarita School of Performing Arts to learn the different styles of acting. Several months later, I got an agent who was able to book me an 'Underworld' movie promo, 'Up Your Game' commercial, an episode on Oxygen's 'Cold Justice' and a Wienerschnitzel commercial. My biggest accomplishment so far, however, is the nationally-played 'Barbershop iPhone 7 Plus Apple' commercial released this May. Filming the commercial was a great experience! I was able to connect with other actors and it motivated me to go to the next level. Acting can be challenging at times; for me it's all about concentrating and getting lines correct. It's also about not smiling so big when 'Action!' is called! I was having a conversation with my best friend when she mentioned that I should look into putting Chayce in commercials or modeling. I took a business card she had for Santa Clarita School of Performing Arts and gave them a call; we were in their office by the end of the week. I had told the owner how shy my son Chayce was, but he told my husband and me not to worry. In his first meeting, Chayce became more outgoing and comfortable with the staff. They have been wonderful! Chayce absolutely loves his classes and is always anxious to get out the door and into SCSOPA. Oh, and the shyness... Now it's 'What shyness?' My son has become more confident. In fact, in his first audition, he received a call back from an agent for commercials and print. Awesome! I should have put him in this school the minute he learned to talk. I can't stop telling people about Santa Clarita School of Performing Arts - we just love them! Thank you! We wanted to take this opportunity to thank Santa Clarita School of Performing Arts and share some great news with your team! 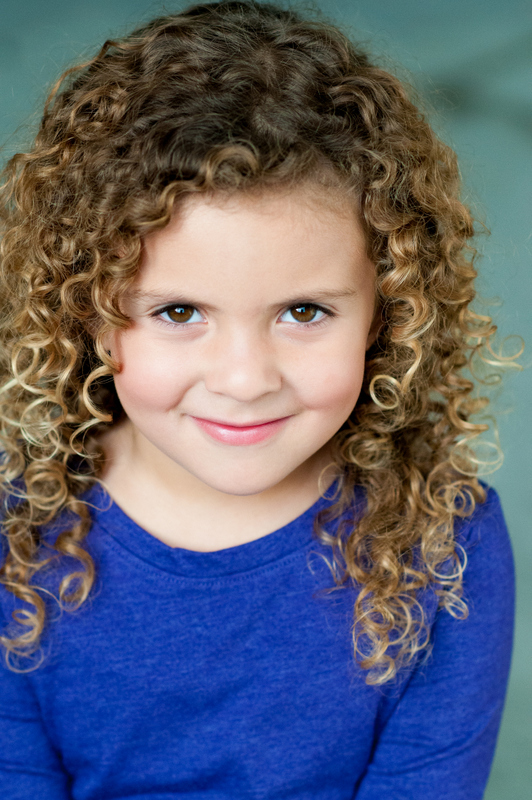 Our 6 year old daughter, Eden, after a short few months since starting her training at SCSOPA, has gotten an agent and a manager, and her first-ever audition resulted in a three-day shoot on a major TV show - Amazon's 'Transparent,' which will air in September! Eden loves the stage and enjoys her lessons and her teachers at SCSOPA. We have no doubt that her early training and the love of performing that she is receiving through SCSOPA has enabled her to reach this important milestone. We are excited to see her doing so well and looking forward to her continuing to grow and share her talents with the world. Thank you for all you do, and we look forward to recommending SCSOPA to our friends. First and foremost, I would like to give a big thanks to Santa Clarita School of Performing Arts (SCSOPA) and its outstanding staff. They helped develop and shape the talent of my son Julian Pena. 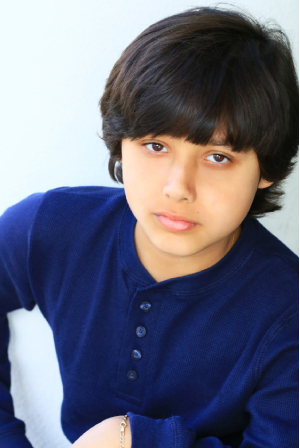 From an early age, Julian showed an interest in the arts of acting, modeling and drawing. Julian is always ready to participate in extracurricular activities in his school that involves his hobbies. In December 2016, we enrolled at SCSOPA and began a more professional training in various courses that include acting, modeling, dancing and voice overs. It's at this great school that Julian has given growth to his artistic abilities. Not only has SCSOPA helped developed Julian's career but has also given him more confidence and reasons to believe in himself and strive to be his best. 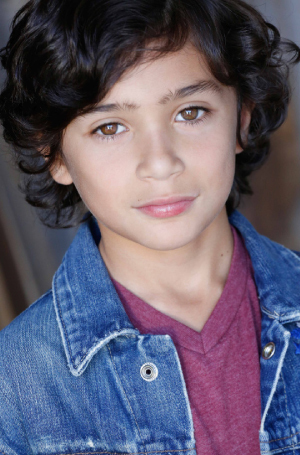 By February of 2017, Julian was signed to Bella Agency. Since then, he has auditioned many times and landed his first TV commercial role for Church's Chicken. This role has encouraged Julian to keep reaching for his dreams. Other than the commercial, Julian has also been part of two local Macy's fashion shows. We moved to California to support our children Tanner, Taylor and Torrin, to help them fulfill their dreams of working in the entertainment industry. Many hours were spent researching training, workshops, agencies, managers and more. After going to several acting workshops and schools we still were left with the same questions; it was not until we found Santa Clarita School of Performing Arts and attended the open house and had the opportunity to meet with the owner that we had answers and direction. We learned that SCSOPA offered a variety of classes that fit our needs - a one-stop shop. 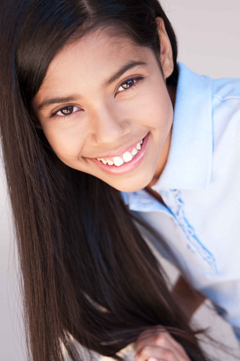 Our kids regularly attend classes like Scene Study, Improv, Audition Technique, Modeling and Voice Over. Every Saturday, students meet one on one with agents and managers. We met our current manager by taking advantage of this opportunity. 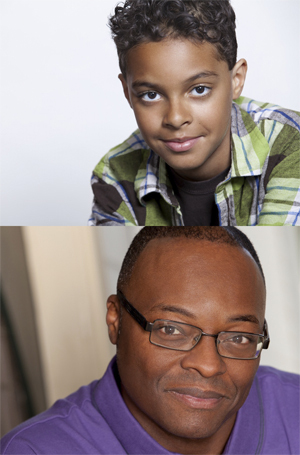 Our kids are now signed with agents and are full-time working SAG-AFTRA actors. None of this would be possible without the knowledge and direction that we have learned from attending SCSOPA. Since attending SCSOPA, they have worked on amazing projects like 'American Horror Story,' Nickelodeon 'School of Rock,' Nickelodeon 'Nicky Ricky Dickey and Dawn,' Amazon 'Just Add Magic,' Disney 'Bizzaardvark,' Disney 'Walk the Prank,' 'American Vandal' and several national commercials. Thanks SCSOPA! My sister and I started acting classes when we were teenagers as students at SCSOPA. Many years later I had my son Austin. I kept bringing him into visit the wonderful family we have there - and he was finally old enough to start classes! Within two weeks, he was signed with an agent and on his way to stardom. 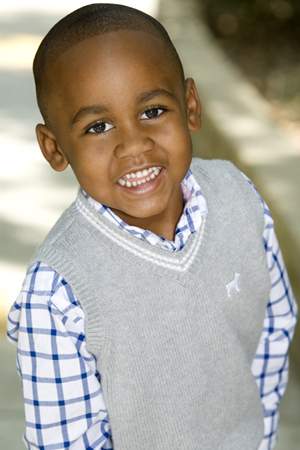 He has already received many national callbacks and currently has a commercial out for T-Mobile. 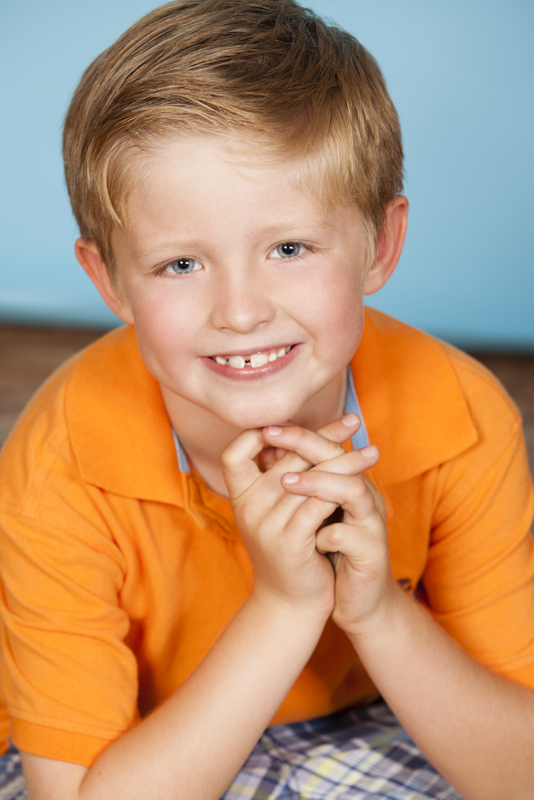 He continues to audition almost weekly and loves acting - all thanks to the family at SCSOPA. The amazing coaches and staff have jumpstarted his career at the young age of 4 and - with his first commercial - he has already earned enough for his first year of college! I recommend this school to anyone and everyone to get into the entertainment business. My only question is: Why didn't we do this sooner? Our daughter Lexi has always loved performing and being in front of a crowd and we decided it was finally time to let her spread her wings and give acting a try. A good friend had referred us to Santa Clarita School of Performing Arts, so one day we picked up the phone and made the call. Mike, the owner, made it so easy. We attended an open house and quickly felt at home as we met other students and staff. 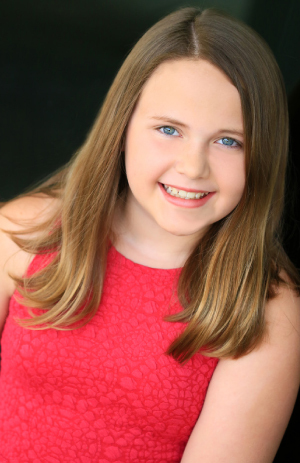 When you think about the other options for theatrically-inclined children it wasn't a difficult decision to sign up for an unlimited package so Lexi could attend multiple classes each week. 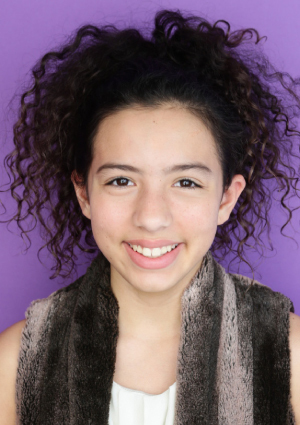 We were expecting - and Lexi has received - top-notch training from industry professionals at the school in classes such as Commercials, Scene Study, Improv and even Voice Over. What we didn't realize at first was the caliber of agents and managers that visit the school every weekend looking for new talent. 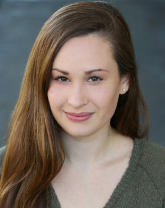 Lexi auditioned for three agents the first three weekends she was a student - and got called back by all three! 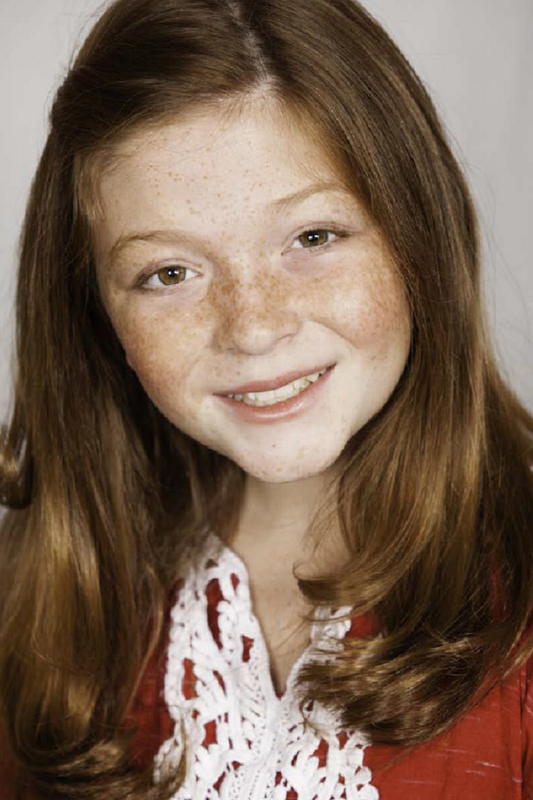 She ultimately signed with a dynamic agent duo and has had great success with securing all types of auditions - commercial, theatrical (TV and film) and even voice over. She booked her first job this fall and we are excited to see what 2018 will bring. Through SCSOPA she also connected with a manager who recently signed her for representation. When we got started we didn't really know what to expect but now we are just so excited to see what the future holds for Lexi. If you are on the fence at all, or even just curious about what Santa Clarita School of Performing Arts has to offer for you or your child, just pick up the phone and give them a call. It might be the best gift you can give your child! When we walked into SCSOPA, we did not realize how exciting our life was about to become - especially for our son, Sonny Bustamante! We met with Owner Mike Josten; he told us we were going to be very busy with our son's career and development. He and his staff helped us develop our son's talent and get started. After taking just a few training classes, we were excited to find out that the school is regularly visited by top-tier agents looking for talent. Our son had successful interviews and was selected by three agents. Our biggest problem was deciding which agency to represent Sonny. 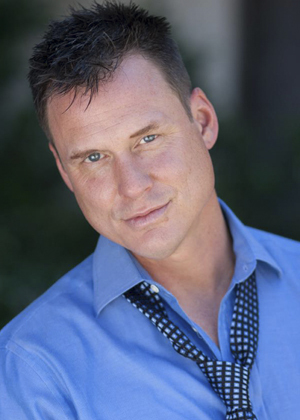 I grew up in the Santa Clarita Valley and have been acting and performing for over 25 years. I started out as a competitive dancer with a love of performing and being in front of the camera. When I was a little girl, I would stand in front of the TV and pretend I was Vanna White on the 'Wheel of Fortune.' Unbelievably, I became a contestant on the show in 2015 and won over $53,000 after telling Pat Sajak on national television that I was 'single and ready to mingle!' My love for the camera and to perform was taken to the next level when I decided to sign up at Santa Clarita School of Performing Arts. The best decision I ever made was enrolling at SCSOPA! I have been able to make my dream of becoming a professional actress a reality. The offers for commercial work just keep coming and to date, I have roles in commercials for Nissan, Sit 'n Sleep, Gamburd and JustFab. And to think, I almost talked myself out of signing up because of how busy my life was. As a loan officer, I barely had any time to myself, let alone for going to school. 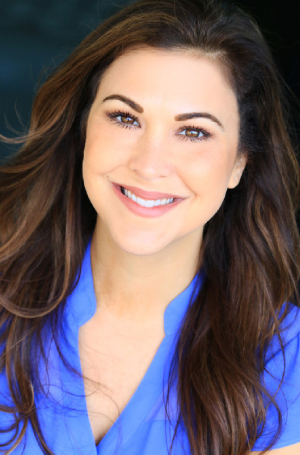 Working in the mortgage industry kept me so busy, but I realized I owed it to myself to pursue my lifelong goal of being a professional actress. SCSOPA made it so easy! What an adventure we began when we visited the Santa Clarita School of Performing Arts introduction event in September 2017. We were looking for a new acting school for our younger son Aaro who already had some experience in acting and had taken classes in the past. He was excited about the school and so was I, as I learned that SCSOPA offers meetings with established agents and managers every week. The introduction session also inspired my older son, so he wanted to try out acting classes. After the first class, both guys are enthusiastic about the school and what they are learning. I'm delighted to hear about the methods and details they share with me. Now, just after six months, they both have been signed with experienced managers and agents. 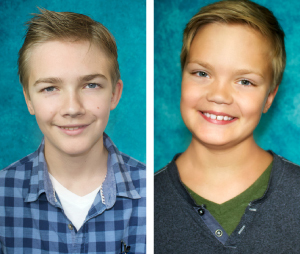 They have done their first gigs and they're receiving high-quality invitations from very namely casting directors. I couldn't be happier how SCSOPA delivers the fundamentals and more to my sons. This amazing acting school is making a difference! At a very young age, our son Bryan showed a love for acting, where he would pretend to be the director or lead actor in his own fictional movies. At only 11 years old, Bryan has written many complete stories that I still keep close to my heart. A year ago, Bryan mentioned that he would love to better his acting skills. After doing research and hearing all the wonderful praise, we walked through the doors at SCSOPA. We met the staff, who were a true inspiration and pleasure, as they displayed an honest evaluation of our son and immediately gave directional advice on the best ways to proceed with Bryan's dreams. 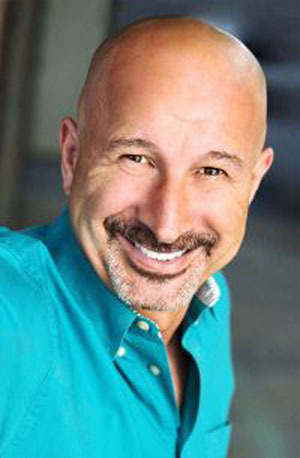 Bryan continues to learn - improving his auditioning, acting, voice-over and improvisational skills to meeting and greeting others. 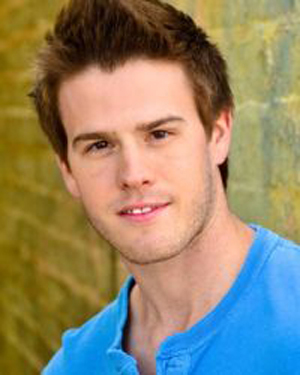 Bryan has already taken part in a few small projects, including two short films. The opportunities, connections and contacts we have made would not have been possible if it weren't for this wonderful school. SCSOPA's performance education has been invaluable, providing a safe, healthy and friendly environment to hone skills for all ages. It's a safe place to take risks and discover hidden talents, to quench artistic needs while improving skills. Everyone is sincerely focused, with positive attitudes, big smiles and a dedication to helping make dreams come true! I moved my girls to Los Angeles for the acting industry and that's where life began for us. We arrived in California to follow the dreams of my daughters, but we had no idea how amazing life would be and the fabulous path we would embark on. We began our search for acting and modeling training once we moved and we were referred by an agent, who has been in the business for 30 years, to attend Open House at the Santa Clarita School of Performing Arts. This acting school has some of LA's top agents that visit every Saturday and the curriculum of the classes offered every session are way above and beyond anywhere else. The credentials of their coaching staff are unmeasurable along with the services they offer to every student. 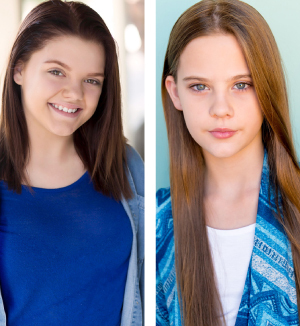 My daughters have gained so many tremendous skills and are auditioning weekly for many top-notch projects including 'Bizardvark,' 'Series of Unfortunate Events' on Netflix and Disney pilots. They have worked on commercials such as BMW, Sam's Club and Omaha Steaks and shows like 'Lego Nexo Nights' and 'Bunk'd,' to just name a few. Their modeling careers are also taking off just as quickly as showroom fit models for Jessica Simpson, Black Daisy and Macy's; and also modeling for designers during many LA Fashion weeks. They have also been on the runway walking for Sherri Hill at New York Fashion Week 2018. My daughters' callback percentages are extremely high and I am so excited to say their college educations are already paid for. SCSOPA has far exceeded our expectations with everything they offer and we have been so blessed that we were referred here from the start. Ever since Nathaniel, 4, was very small, numerous people said our son was good looking enough to be on TV. As his parents, we didn't want to assume acting and modeling was something he wanted for himself and no one can make that decision when they are 3.5 years old. We visited the Santa Clarita School of Performing Arts last September and met with Mike. Nate showed a considerable interest in seeing himself on camera and followed directions really well. After hearing about all the benefits of taking classes and the opportunities to meet with agents, we decided we would enroll our son. 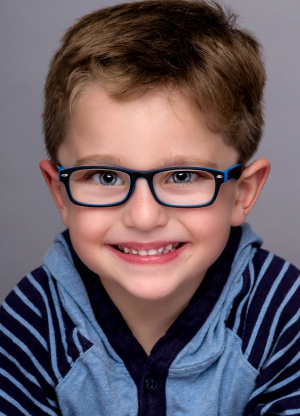 Nate has grown to be a self-assured and outgoing little boy, having learned a variety of skills like modeling, dancing and acting. After a few weeks of classes, we met with three agents, all of whom wanted to represent him. He loves modeling in fashion shows and has two commercials for Niko Car Seat Covers. We are so thankful for this school and its outstanding office staff, teachers and classes and we feel comfortable knowing the skills he is learning at SCSOPA will carry throughout his life. For as long as we could remember, my son Jayden would pretend to be people he saw in commercials. Whether he was pretending to be the pizza-delivery guy or the kid playing with the latest toys, he would even make us part of the act. So when a friend mentioned that, with his bubbly personality and cute smile, Santa Clarita School of Performing Arts would be a great place for him to learn what it takes to be on TV and we had to check it out. Since coming to SCSOPA three years ago, we have watched Jayden grow in confidence and skills. He has even improved in his ability to read before an audience. We can attribute that to the excellent teaching staff here at SCSOPA. The staff is filled with teachers currently working as actors in the industry so they stay current and relevant with tips and tricks of the trade. Once Jayden was determined to be performance ready, SCSOPA was instrumental in helping him obtain a great agent. Most recently, Jayden was featured on 'The Late, Late Show with James Corden' and in an Amazon commercial. We are excited for Jayden's future in the industry and grateful to SCOPA for helping Jayden achieve his dream. Enrolling my kids at SCSOPA was one of the best decisions I ever made. I was looking for someone to help my daughter Jolene with her pageantry. A friend whose daughter that was also in the pageant told us about SCSOPA. Me, my husband and our three kids went to their open house and met Mike and his staff - we even got a chance to meet some of the kids! Everyone was very welcoming and friendly. We were very pleased to see the variety of classes this school provides. Jolene was able to get the help we were looking for and much more. My kids are currently a part of their unlimited program and have gotten the opportunity to meet with different agents on a regular basis. 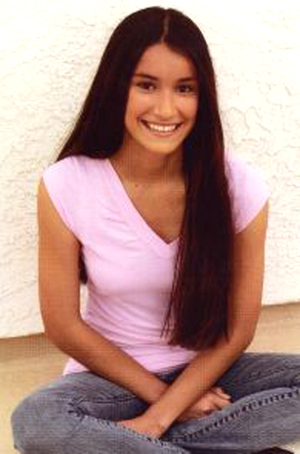 In less than a year, Jolene was signed by an agent and has been going to endless auditions and booking jobs. I have seen so much growth in my daughter's skills and talent. But the biggest change I noticed is how much more confident she is. My husband and I are looking forward to what the future holds for her. We highly recommend SCSOPA. Thank you Santa Clarita School of Performing Arts for all that you have done for my children! My story is simple. After being in Hollywood for over 10 years and been struggling to find a solid agent, I found SCSOPA after being referred there by friends of mine, Hollywood Actors TERRY & REBECCA CREWS. I took my whole family there to see what it was all about. Instantly, we were blown away at the success rate of the actors, models and voiceover artists who got their start in this prestigious school and were now “working” in their craft, and making a solid living doing what they love. When I recognized one of my sons classmates from Trinity Classical Academy was up on the wall and was also a student and also booked Iron Man 3, I realized this was not one of those hoaxes and scams that promise you the world, charges you a fortune and never delivers, but this is the most prestigious school in the country. LA’s best kept secret! It was better than advertised! So, I decided to sign my whole family up for the school & within a week one week I had meet with one of Hollywood's top agents at the school who didn’t understand why I was not going out more and working. So, He signed me that day, and now I just finished shooting a Feature film that stars Danny Trejo, Nick Chinlund and Kevin Grievoux called THE PREY and getting ready for pilot season which is around the corner. After 10 years I am finally living my dream!Lastly, the love of my life, my wife, is now pursuing her dream of doing voice-overs and getting ready to meet agents and casting directors and my kids are all in classes and ready to take on Hollywood! Thank you Santa Clarita School of Performing Arts! If you’re serious about becoming a Hollywood actor, model, singer or voice-over artists, do not waste your time with any other school out there. Don’t complain about what you permit in life. Take action now and LIVE your dreams! SEE YOU AT Santa Clarita School of Performing Arts. Very Respectfully,John David Gregory Jr. "JD"
Hello, I would like you to meet Sophia. She is a happy kid who loves to have fun, full of energy and life. Ever since we could remember, she was very animated, opinionated and always managed to come up with something to say to make us laugh. She was the center of attention, be it during circle time at pre-school or a family get together. It did not take us too long to realize that Entertainment Industry could be something for her. As her parents, it was our task to find a school that was good, close by and flexible with our already busy schedule. Sophia is also taking Karate and Judo. The Santa Clarita School of Performing Arts (SCSOPA) was recommended from many friends and acquaintances. We were greeted by a friendly staff, all questions answered. We were even given a tour of the school. Liking what we saw and heard, Sophia started the very next week. She quickly became accustomed to her new schedule and looked forward to her classes. She enjoyed modeling classes and was always eager to show us what she had learned that day. She would read back the scripts she had learned in acting class and was always quick to strike a pose when the camera lens cover came off. To our great surprise, within the first month of her attending SCSOPA, she was invited to join DDO agency for print, commercial and theatrical. The agent loved how well Sophia knew the script. The very first script she had learned at SCOSPA. Since her signing, Sophia has gone out on several auditions. We are optimistic that with the skills she is receiving at SCSOPA, she will be well on her way to a successful career. I always thought that taking a great acting class meant driving during rush hour traffic to LA. I have been doing this for quite some time now and debated on moving. One day I got in the mail a notice about an acting school in Santa Clarita. I thought to myself “10 minute drive versus 45 minutes? I have to check this out!” So I took the initiative and drove over and talked to Mr. Mike. Oh boy does he have a personality! When I met him he was great and told me I could audit a few of the adult classes. He went ahead and gave me a list of all the classes that are going on for the month. His program is amazing. I picked what classes I wanted to do most and audited them. I absolutely love all the different methods the instructors were teaching. Matt Easton & Mike Donoghue are two of the many talented instructors I continue to take because they always challenge me as an actor with different material. They would start each class with something new as a warm-up. One day I came to class and Mr. Mike said “Ok, here is your commercial you have 15 minutes then I will call you in one by one for an audition and give you feedback after.” Talk about an actor’s dream! I am so much more confident when I go out for an audition because of the program at SCSOPA. I went and booked a Lifetime show called “My Life is a Lifetime Movie” and a horror feature film called “Dead Sea” and many other projects. I highly recommend taking classes at SCSOPA! It’s great for all ages and the classes change every 8 weeks so you aren’t doing the same thing. If you’re serious about acting come to SCSOPA! 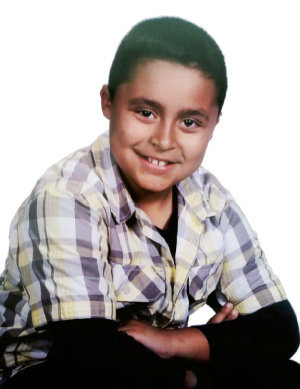 My name is Michael Orozco, I am 7 years old and I have been a student at the Santa Clarita School of Performing Arts since March of 2012. I love and appreciate this school for giving me the opportunity to follow my dreams of being in commercials and movies; I especially loved being in the movie Scout with Danny Glover and in the movie The Sound of Magic with director Cristopher Broe. 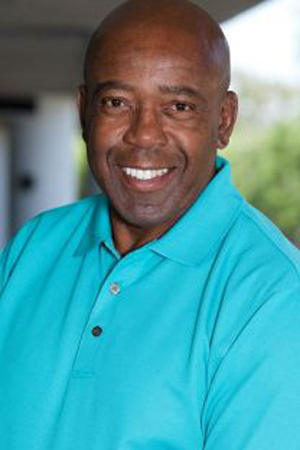 I have done several commercials such as “Find the Children,” The John Wayne Cancer Foundation, Sunshine Ambassadors Church TV, and a National Wal-Mart Commercial. I was also in a print campaign “The Faces of Los Angeles,” and a very special project called “Starting Something – Jenny and the Mexicats.” My teacher Mr. Matt has always believed in me and helped get me my start. Thank you to The Santa Clarita School of Performing Arts for helping me live my dream. 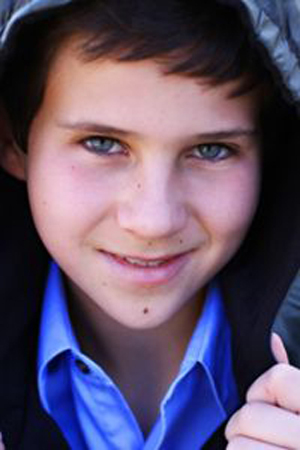 Levi Leonard, 14, is an American actor originally from Temecula, California. 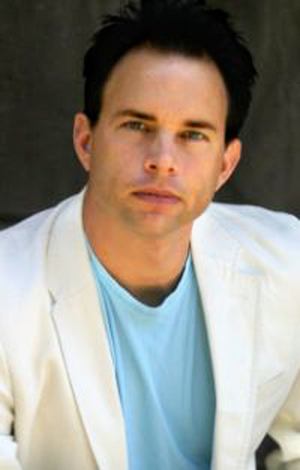 Levi began learning the acting craft at a small acting school in Temecula. 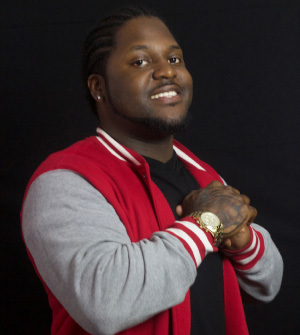 As his parents, we wanted to give Levi the best experience and help him become a “triple threat” in the entertainment industry. We moved from Temecula, California to Santa Clarita in February 2015. 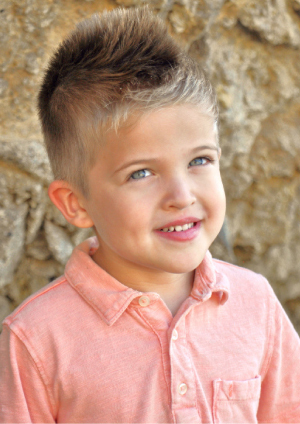 We enrolled Levi in Santa Clarita School of Performing Arts knowing SCSOPA is different and better than all the other schools. Levi now trains with true acting industry professionals. 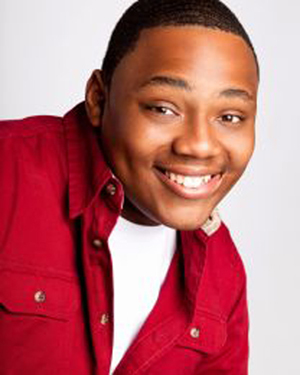 He has learned diverse techniques in voiceover, comedy, drama, modeling, Hip-hop dance, and Improv. SCSOPA has given Levi the opportunity to learn new skills necessary for auditions and acting, and it has helped him grow as a person. As a new transplant to the area, Levi was nervous to start a new Jr. High School mid-year and attend a new acting school. However, the teachers and students at the Santa Clarita School of Performing Arts made him immediately feel welcome. This type of environment is a step above all the rest. 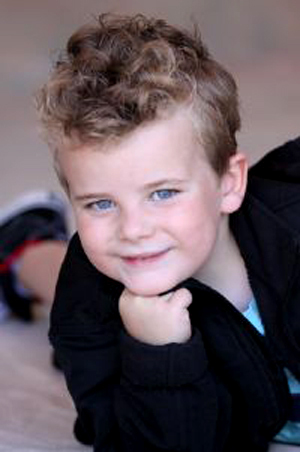 Within a short time (7 weeks), Levi has been offered representation with the Brogan agency. He has participated in numerous modeling events and was also interviewed by a local reporter at the Santa Clarita Valley Television Studio. What has the performing arts given our child? When Levi is not auditioning or lighting up the stage, he is working hard to maintain his 4.0 GPA as well as participate in basketball. Levi has used the life skills he learned to be an active participant in student government, speech competitions, and district spelling bees. I would like to thank all of the staff at the Santa Clarita School of Performing Arts for helping Levi accomplish his goals. My daughter, Sydney, started taking classes at SCSOPA last summer after getting a taste for acting in local theatre classes. I wasn't sure what the next step for her was. I am SO GLAD that we found SCSOPA! The timing couldn't have been more perfect. When they say they can help you make things happen, they aren't just spinning a tale. The classes they offer give you exactly what your child is looking for. The advice from Mike and his staff got us off on the right foot. They know how to get you started! I felt completely comfortable with them from the get-go. So did my daughter. It may seem like a big step to take, but committing to 2-3 classes per week just skyrocketed my daughter's confidence and skills. And within a couple of months she was booking short films and commercials. They have the connections to get you in the door with top notch agents and managers. If Mike says he's going to do something to help you, take him up on it because he means it! Thanks for all you've done for Sydney, SCSOPA family! Hello, my name is Kayla Prieto and I am Little Miss SCV 2013. I remember when I was 5 and was sitting watching a TV show from Disney channel. How I saw the people act and how they make people laugh made me want to be an actress! When I first asked my mom if I could pursue acting as a career she said I had to go to the right school, but which was the right school to go? All of the schools that I went to were the same all the time. One day a week class, no agents, and just basically doing the same thing over and over. Finally we found Santa Clarita School of Performing Arts (SCSOPA). At first my mom was a little doubtful that this may be like all the other schools that I recently went to. When I first saw SCSOPA, I knew this wasn’t your regular average school. I remember how I first went to one of the classes and how shy I was, but as I continued on I suddenly began to slowly crawl out of my shell. Mr. Mike was always there for me, giving me high fives and telling how great of a job I was doing! At SCSOPA I thought it would be all acting, but boy was I wrong. There is modeling, singing, voice-over, and to top things off, weekly agents! I love all of them and I wanted to do everything! Lynn was the one who ran the all the awesome shows that we students participate in! Boy, does she run those shows like a pro. I also remember how I saw my very first agent, but I wasn’t scared because SCSOPA taught me everything I needed to know. My goodness, you should see how many agents visited SCSOPA. I was on almost every list of agents! So many agents for me to choose for! 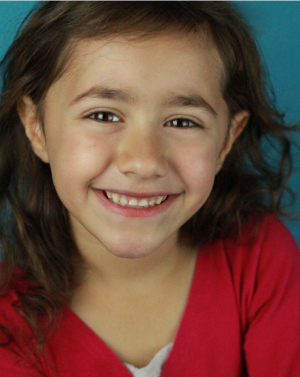 Those agents sent me to auditions for commercials, TV shows, and more! To tell you the truth, SCSOPA was the school they led me to my very first job, since SCSOPA had their teachers who actually teach you something different, have weekly agents, and classes that you learn something from. And you know what; SCSOPA was the school that opened many doors for me. It was a school that actually made me feels good about my acting dream. It is worth paying for. SCSOPA isn’t just a school, it’s a place where doors open……..and where success is found. THANK YOU!!! My goodness I almost forgot… look for my Target Commercial with Danny Glover, so….EXCITED!! Today, I'm a reporter at our local television station. I've always loved being behind the camera but didn't have the confidence to get in front of it. During a time when I was unsure of myself, Santa Clarita School of Performing Arts (SCSOPA) saw something worthwhile in me. Through the unlimited classes, ongoing encouragement of the administrators, and professional training for interacting with industry professionals, I'm happy to say that it was SCSOPA that groomed me to be in front of the camera with confidence. SCSOPA also helped me to listen. As a reporter, listening and confidence are key to helping people tell their story. I truly thank God for SCSOPA! The Double Whammy for the Mckee Family! We LOVE Santa Clarita School of Performing Arts, I would like to thank them for getting us to the school; we met at the Palmdale Mall at the SCSOPA booth and the rest is history .Mike the owner signed both my husband David Mckee Jr. and both my son David III. I am so proud to announce they both are now working in the entertainment industry. SCSOPA gave them the training and tools they need to be successful and gave me a new career also, "managing their careers”. SCSOPA gave me the direction that I needed to become successful at juggling/managing their careers in the entertainment business. The Mckee family is so grateful for the SCSOPA who have educated us all and given us all the tools we need! I can’t tell how important it is to have professionals guide you down the right road. I must say the drive (Lancaster) is so worth it; Santa Clarita School of Performing Arts is the best performing arts school! A huge thank you to Mike, Craig and Lynn; not to mention all the awesome teachers (who are working actors) at SCSOPA for all you do! Our lives are changed because of you. Mckee Family, David Jr., Eleanor and David III. Lynn, I am writing this letter to express my gratitude and excitement for an unforgettable experience never lived. As you know, my son, Donald Trinidad, appeared in his first commercial ever with Jerry Seinfeld and Bill Gates in Seattle, WA on July 22, 2008. 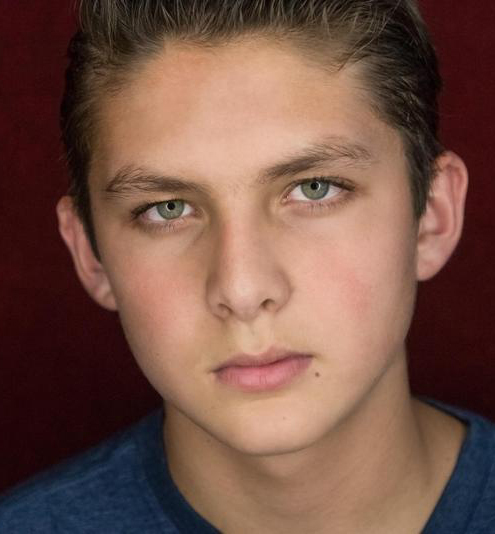 I would also like to express my appreciation and gratitude to the Santa Clarita School of Performing Arts and to the teachers for doing such a marvelous job with my son and his acting abilities, that within a period of 2 years of having attended the school, he has been able to appear in his first commercial ever! With your help and guidance, my son has become a more confident and happier person, boosting his moral. He has learned the value of money and how it is earned, through hard work and dedication. It is every parent’s dream to see his/her child succeed in life, but to know my son has begun his career and success in acting at such a young age, is overwhelming. Once again, on behalf of my son and me, thank you for such a wonderful experience. For those of you who feel you have to leave the Santa Clarita area to receive ‘professional’ training as an ACTOR, think again! 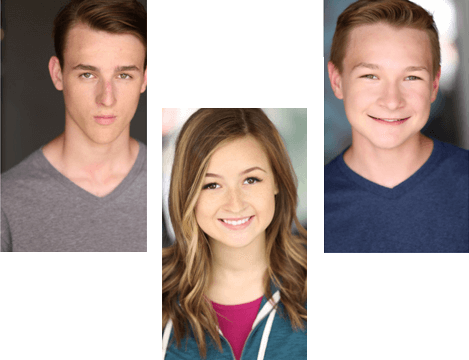 Santa Clarita has one of the best all-inclusive schools for an actor, from the beginner to the most advanced. I know, because I have participated in many of the “other” classes from some of the best-known “teachers” in the LA area, and although every one of those teachers had something wonderful to offer in their classes, none of them offer the same service/s that is offered at Santa Clarita School of Performing Arts (SCSOPA). Again, take it from me as I started at SCSOPA, was there for about a year while I learned my acting chops, and then decided to attend other classes because I was not sure what I was learning from a place in Santa Clarita would teach me enough to actually get hired in Hollywood. Now I’m back after working on more than 70 projects from TV/Film/Shorts/Features and Voice-Overs, and I am happily paying approximately half of what I paid in some of the other classes that I was taking that I thought would get me more recognized. NOT! Although Sandy Meisner, a teacher of technique and ‘iconic’ to most Actors, might not consider me a “seasoned” veteran yet, because I have not been in the industry auditioning for 12 plus years, the time which he felt was the time it took to pay one’s dues. I can say I have attended numerous classes, from several ‘seasoned’ teachers and have yet to feel the sense of hominess and acceptance that I felt from the first day of attending SCSOPA. From the first person you talk to on the phone, generally Paige, when you call for information to meeting with Craig, Lynn or Mike to arrange the easy and affordable payments to each of the teachers that you might encounter in the many classes, Matt, Al, Debbie, Emily, and DeAnn there is not only an extreme sense of professionalism but also a warmth and sense of belonging that permeates the entire scope of SCSOPA. And from one Actor to another, finding ‘that’ is extremely important in a career that through countless perceived rejections can sometimes make one feel very isolated and unsure of oneself at times. For those of you who have not gotten your feet wet in this wonderful industry, that may not make much sense yet, but for those of you who have been ‘out there’, you know exactly what I am talking about. And in no way am I denoting that one should not get their feet wet in this wonderful career I have chosen, over something so trivial as rejection, because although one may receive 10 rejections before they get an accolade of acceptance, that ‘one’ acceptance can make one feel like they are dancing on the moon and make ‘it’ all worth while!But speaking to those of you who have not been “out there’ yet, what a wonderful way to start! SCSOPA will offer you everything you need to ‘break’ into this wonderful industry, from the beginning classes which will teach you everything from how to walk confidently into an audition, slate properly, and the techniques of how to win the casting director over by making ‘strong choices’ to taking your headshots. SCSOPA is THE place to learn! Then once you have learned these basics and some of the industry ‘jargon’ that will allow you to feel like you fit-in when you are listening to some of the other professionals talk, SCSOPA follows you to the next step of actually making it possible for you to audition in front of agents with the possibility of being “picked-up” by one of these agents! When one is beginning, it cannot be stressed enough how important this ‘piece’ of the industry is to an Actor, and the one that is often neglected by many other beginning classes. But even with all of that being offered it is only the tip of the iceberg of what SCSOPA offers. Imagine being able to take classes 7 days a week, LOCALLY! Yes, from beginning classes to the more advanced classes, one can find something being offered pretty much most of the time that will sharpen one’s skills, or what are called ‘acting chops’ in the industry. Whether your talent is Dancing, Singing, Voice-Over, and/or Acting, the technique and skill building opportunities at SCSOPA abound! Of course, due to some time restraints one may not find the same class being offered everyday of the week, but one will find something that sharpens the chops! And one of the other wonderful things about SCSOPA is that ‘they’ recognize that many Actors, or those that are just beginning to choose to be Actors, actually work during the day, so they offer or re-offer these incredible classes in the evening! For the most part the children’s classes, 3-17 are offered in the early evening so that they can get to bed at a reasonable time whereas the adult classes are generally offered between 6-10 in the evening and because SCSOPA is close to most of us working folk around here, we get home in about 15 minutes. Believe me, after participating in the many classes that I have taken in, and around, Hollywood, the thought of being home 15 minutes after a full ‘workout’ of emotions in an acting class, is the crème’de’la crème. Alexa has enjoyed SCSOPA from the very first day she started taking classes. 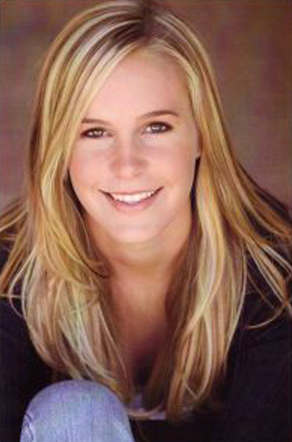 As her parents, we thought it would be a great idea for her to take classes from Run Way to Cold Read to Audition Techniques and Scene Study, since she had shown an interest in acting. Never did we think things would happen so quickly. The school not only prepared our child to go on auditions, but also has provided the opportunity to meet reputable agents that come to the school. Alexa signed up with KSR, one of the top agencies in the west coast, and has had great success. In less then two months after signing, Alexa booked her first commercial with Hasbro Ponyville. 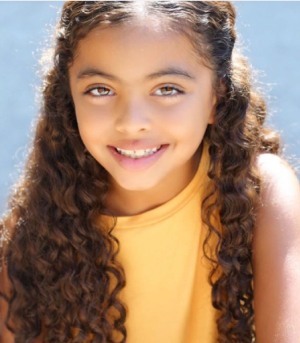 That was just the beginning, soon after she filmed another commercial for FurReal Friends S'mores the Pony, a voice over for My Little Mommy "Baby Knows", a commercial for Microsoft, back up for Jif peanut butter, and another Hasbro Baby so Soft. When we asked Alexa what she liked the most of SCSOPA she said she likes all the teachers because they make the classes fun and you learn at the same time. She really likes Mike because he is always in a good mood and gives her balloons. She also loves all the friends she has made. As far as filming goes, Alexa has had a blast. She is literally treated like a Princess. From the moment she arrives on the set she is taken care of (of course either her dad or I are close by), she thinks the food is amazing, the teachers are great, and the entire crew are unbelievably caring. Alexa thoroughly enjoys getting her hair done and all the other pampering that takes place to get ready for the camera. In the beginning I was concerned with the industry, but after our experiences, I am comforted knowing she is cared for and her opportunities have proven to be beneficial and positive. People often ask her what she is going to do with all of her money; Alexa is quick to respond she is saving her money for college and has her mind set on Berkeley just like her older brother. She also would like to help those that are less fortunate. 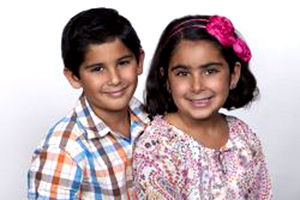 A few years ago, I started my two children in acting classes at SCSOPA. Both of the children have flourished in their careers. I would like to thank SCSOPA, Mike, and Lynn for believing my children had what it took to build a solid career in the entertainment business. The children met with very reputable agencies at SCSOPA! The children learned how to audition well and solid on camera techniques. 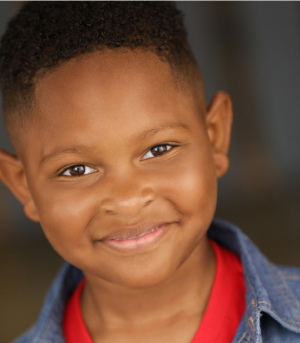 At the young as of 6 years old, Brayden has booked two national State Farm Commercials, Major Print Campaign for State Farm, and has been featured on numerous television shows and films. I wanted to thank SCSOPA for being a wonderful place we still call home for our children. The skills they gained from Mike and his staff is priceless! 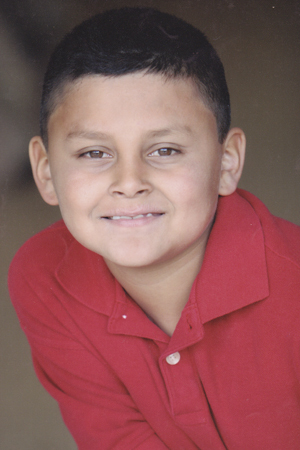 My son Roy loves Santa Clarita School of Performing Arts (SCSOPA)! I knew when he was little that he loved to perform. Roy loves to pretend he was every super hero there was. He wore his Halloween costumes for months until there was nothing left to wear. Since his father has not been in his life after the divorce, he became sad and withdrawn. When I heard about SCSOPA, I thought this might help him. From the moment we walked through the door that first visit, I knew this was a great place for my son. Everyone is so friendly, they greet us like family. The teachers have an amazing gift in the way they teach my son the skills not only for the performing arts but also life skills which have given Roy back his self-esteem and confidence he needs to be successful in life. In a few short months he has an agent and already booked a national print ad with Fantastic Sam’s, Roy is the young darker hair boy on the top of the advertisement! Roy is a happier boy due to Santa Clarita School of performing Arts and their professional staff! Thank you, Mike, and all of the staff at SCSOPA. A few years back I convinced my parents into taking me to an orientation at the Santa Clarita School of Performing Arts (SCSOPA). Of course, like most people probably are about such schools, they were skeptical because honestly it seemed “way too good to be true.” Right away after listening to the presentation about the school and its mission of: “making you the best actor you can be, by giving you the tools to have a competitive edge in this ever-competitive industry”, looking all the success stories the school had had up to that point, and speaking DIRECTLY with the OWNER of the school—Mr. Mike --my parents signed me up for a one year contract at SCSOPA. I absolutely fell in love with the school from the get go, after only a couple of minutes of being there! The teachers are beyond awesome, and not only are they fabulous teachers, but they too are actively in the industry, making them reputable sources to go to for any questions and concerns that may surge regarding future offers with agents, managers, projects, and such. As far as the actual classes go what I like most is the fact that the classes rotate every eight weeks so you are constantly learning and experimenting with new techniques of your chosen craft. Each class is uniquely planned and prepared by each individual teacher from start to end so that absolutely no time wasted and to ensure that the drive--for those who come down form far--is worthwhile. No matter in which age group you are in all the students are exceptionally friendly, kind, and down to earth--despite their ever-growing accomplishments out in the field--and do whatever they can to make you “fit in”, assist you, guide you, and make sure you enjoy your time at the school. The staff, however, does not fall short of demonstrating their hospitality as well: they are extremely supportive, patient, carrying, and more than willing to answer any questions you may have as well as explain to you how the classes work and any such things that may surface during your time at the school. My parents, relative, friends, and instructors too can attest to how much I have grown and improved since I initiated my journey at SCSOPA. Growing up and in school I was almost always a rather passive and shy girl, and though I still carry myself as so the second I start talking people are quick to realize that I am the very opposite. Attending SCSOPA has not only helped me improve in my acting skills, but it has also helped me improve my social skills far beyond what I EVER thought possible! I use to dread the thought of having to meet new people, talk to people, and even more the thought of having to get in front of crowd of people and talk! Now, however, I secretly enjoy it--because I do not want to come off as arrogant--,and whenever I know we will be having an in-class debate, report, or assignment that will require me to be in front of the class, talking, I secretly get excited because I see it as an opportunity to perform--even if it is just going up to the board to explain grammatical corrections. Seeing the magnitude to which I evolved in my craft, as well as socially--in such a short time--my parents were convinced of the schools validity and prestige that they just had to sign me up for a longer term at the school when my contract was on the verge of expiring. I am ever so thankful for having found this school because in the short time I have been here I have accomplished so much: I have officially signed a representation contract with The Beverly Agency, booked my first actual audition for work, and done a worldwide Nike web commercial for The Girl Effect, have been in a local commercial for the school, have been in numerous shows put on at The Celebrity Center in Hollywood, and have made the cut to be on the very first SCSOPA hip-hop dance team--Dynamic Rhythm--with whom I have performed at countless venues such as The Kid’s Expo, The 6th Annual Citrus Balloon Festival, The Filipino New Year’s Gala Celebration at the CBS Studios for Boy Lizaso, NES at CSUN, The Odyssey, The West Ranch Spring Dance Showcase, The Renaissance Fair, and even as the entertainment at a quinceanera, to name a few. THANK YOU TO EVERYONE AT SCSOPA FOR MY START, GIVING ME A CHANGE, AND BELIEVING IN ME!!!! I have been attending Santa Clarita of Performing Art School for four years. In each year I have learned so much about acting and who I am as an actor, and as a human being. I would like to thank Mr. Mike for giving me the opportunity to pursue my dreams at his school. Thanks to all the teachers that have taught me the techniques of acting through the following classes; Improv, Monologue, audition techniques, scene study, and table read auditions are just a few I have taken of over the four years attending SCSOPA. There are so many more amazing classes you can attend to pursue your dream of becoming an actor. I have become more motivated and became a stronger actor attending the classes at Santa Clarita School of Performing Arts. With attending Santa Clarita School of Performing Arts I have an agent (I did meet my agent at SCSOPA, they have agent every week) what a plus to have access to the agents on the weekly basis. Through my agent I have been on many auditions and booked many jobs such as “Cee Lo Green” music (young Cee Lo Green) “Forget You”. In conclusion; I have been truly blessed and proud to be one of the students at Santa Clarita School of Performing Arts. 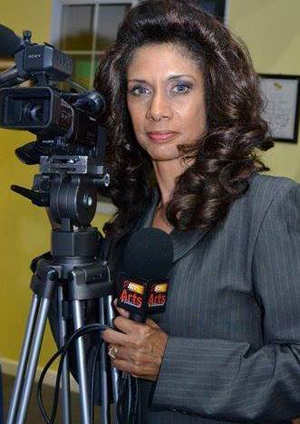 I thrive for success and to pursue my acting career. Thank you to the staff, teachers and students for all the support. Please check out me out is my latest job, on Youtube on “MatthewJ8” channel short film by Matthew Josten “City of Angels”! My daughter Danielle has only been attending the SCSOPA a little over a month and she already has an agent, how exciting!! We went to another acting school that closed before we found SCSOPA and I am amazed at the differences between the two schools. This school is by far superior to the other acting school that she attended. There is a high level of professionalism here. The entire staff is so wonderful and the instructors are great. The atmosphere is always positive and upbeat, and everyone is like family. We live an hour away but it is defiantly worth the drive, Danielle loves coming in. I would highly recommend the SCSOPA to anyone that wants to take classes or wants to get into the entertainment business. Danielle wouldn’t have an agent without them. Thank you for everything! You guys rock!! Our grandson, Kyle James, has a very active imagination and we wanted to be able to channel that into something fun and rewarding for him. Being only 4 years old, we didn’t want him to feel he had a job or had school obligations. He is a little boy and he deserves his time as a little kid but if he has a talent we wanted to help him blossom. We thought, how do we even get Kyle started? We had all kinds of questions. Who is good to use for professional and affordable photos, and which photo is going to be the best photo for Kyle? How do we get in touch with the agents and get interviews, and who are good agents to work with? What do commercial agents and casting directors want to see and what should we know to help? How do we teach him to express words and body language for TV, commercials or modeling? The students get great experience that helps them gain confidence, be in front of people as well as learning expressions. This also helps when it comes to school and having to talk in front of class. The students learn how to act, do commercials, learn vocal, facial and body inflections and expressions and when and how to use them. They learn how they need to act on interviews for agents and when doing casting calls. Where else can teach you what to do, bring the agents to you, and help with your individual needs to succeed? 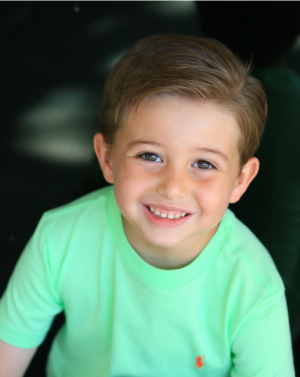 With the expertise and guidance of SCSPOA’S, Kyle was able to secure an agent and landed his first commercial on his very first audition for a national Target ad. Kyle tells us when going in for an audition, “I know, I know, I got this”. He does have this. He just booked an AT&T commercial as well. He knows what he is supposed to do and enjoys every minute of it. He actually gets disappointed if it isn’t a “school day”. Santa Clarita Performing Arts School has opened doors for Kyle that we could have never opened for him. He is able to meet his full potential and enjoy himself while doing it. When I first stepped into Santa Clarita School of Performing Arts(a.k.a. SCSOPA) I didn't know how to act, dance, model, or to sell my personality.In fact, I was the shy type who didn't like sticking out of the crowd. My mom, thinking it was a great opportunity, enrolled me and my sister in SCSOPA, and I met Mike Josten. He looked very friendly and for once in my whole life, I actually had a interest in acting. I thought I was going to have no success at all, but I did have some. I auditioned and got into several shows with my sister. Also, we both got an agent for TV commercial and print. I also got to be in a commercial for Hub (surprisingly). My sister and I spent about 2 years working with very awesome teachers like Matt Easton, Al Taylor, Sky Sigue and Ashley Martinez. We learned not only how to act, but to model and dance. Double thumbs up for the teachers! I really like being in SCSOPA. There isn't a lot of opportunities where you just turn up to be in Hollywood (not without an agent, of course). But, SCSOPA is a great place to start out, and to have success. I bet you'll find it fun when people walk by saying, "Hey, I saw you on TV last night!" I love Santa Clarita School of Performing Arts because it has opened so many doors to wonderful opportunities for my career. Besides commercials like; Bratz, ABC Family, Shakira, etc. My personality went from a shy and timid girl into an outgoing personality. Another reason why I love Santa Clarita School of Performing Arts is the teachers they are really cool and you learn from them because of their experience as an actor or model them selves and they don't feel like your average teacher. I have made so many friends there too. The students are really nice and welcoming, and they all are going for the same thing you are (whether it’s acting, modeling, singing, dancing, etc.) which is probably the reason why everybody gets along well here. I love Santa Clarita School of Performing Arts. I currently enrolled in classes at Santa Clarita School of Performing Arts (SCSOPA) to occupy my free time since I retired Southern Cal Gas Company. I was a public speaker for the Southern Cal Gas Company; I felt I was out going enough to jump into this industry. I have in the past coached pony baseball and high school baseball, scout baseball in my free time. So I decided to branch out and try something completely out of my ream of my comfort zone. Being in my sixties, I found myself not only enjoying what SCSOPA has to offer in their programs to become an actor and having the opportunity to meet agents weekly. 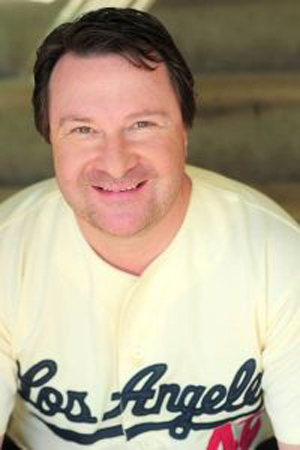 I have taken numerous classes, auditioned for an agent weekly, landing an agent at ABA Talent and recently booked my first job for “Breo COP” pharmaceutical commercial. Kim at ABA Talent is my agent and I am excited with the possibilities my futures holds in the entertainment industry. The school is everything an aspiring artist could hope for, expert instructors, numerous connections, and a chance to showcase yourself every weekend for some of the industry’s biggest talent agencies. Any entertainer will tell you that there is always room for improvement regarding one’s own abilities, and SCSOPA has helped me to grow with every class I attend. SCSOPA helped me to open numerous doors that I once felt were permanently shut.” The staff is always available to help you and guide you to the proper channels to be successful! I continue to attend SCSOPA since 2-2012; I signed up again till 2-2014 When asked if I had any advice for aspiring artists my thoughts were short, yet to the point. “Never give up on your dreams. If you work hard enough, take advantage of every connection you make, and continue to enhance your craft, there is no one that can stop you from achieving great success.” It’s all how you apply yourself to the game!! Better late than never to follow your dream! I fell in love with modeling. The teachers at SCSOPA are all amazing. They all make you feel confident and go above and beyond to help you achieve your goals. My modeling teachers, Jose and Laura Lopez, have organized many fashion shows for us to showcase our talent. Jose and Laura go out of their way to help us get outside work and pictures for our portfolios. They don't only teach us the basics of runway, but they also put so much creativity into the shows that the audiences are amazed. SCOPA also got me connected with Raquel Lee, Fifi Leroux designer. She uses us regularly for her clothing line, in fashion shows and print. I am actually one of Raquel's main models and it's great because her clothes are very girly and outgoing! She also manages me in my singing and modeling career. Through her I've met many producers and songwriters and have even been in the recording studio. Anyone that joins SCSOPA has an opportunity to meet with many different agents every weekend. By the second audition I signed with Colleen Cler, which does commercial and print. I can't tell you how much this has changed my life, but all I know is that I've made so many friends that feel more like family. There's no competition in the classes, we're all there to do our best and support each other. I feel like I've changed over the past year and a half, into a much more confident and open person. Joining SCSOPA was one of the best decisions that I've ever made. Boy was I wrong........in August I decided to enter my 5 year son and 6 year old daughter in a model search contest.....I wasn't doing it for the prize but more for the experience....I have two shy little ones and I thought why not try...my kids had a great experience and they had a lot of fun......and out of 100 contestants they ended up winning! That meant $5000.00 contract to the school. When I first got the call I thought I bet this is there gimmick that all 100 contestants are going get a call that they won. Next came meeting with the school director for a tour and signing up the kids for their classes. I was still waiting for the sales pitch, to my surprise, it was just a tour and a sign them up. We have been attending the school for a month now and let me tell you that my kids love it a lot; we drive 40min from Simi Valley to get to this school. It is so worth it, I see a huge confidence in my kids in just a month; the staff is amazing and patient. They have guided me through every step and I have to say that I am sold....no one has approached me about paying for anything...instead they have shown me ways of doing things to save me more money within the industry....should we decide to pursue it as a career....in the meantime we are having a great time. A big thanks and applause to Santa Clarita School of Performing Arts for everything you have taught my children. I, like so many others before me had somewhat limited success in the industry. Wandering aimlessly with so many questions unanswered, I could not figure out how to break down the door that would put me on the next level. Upon enrolling at SCSOPA, I immediately began to receive instruction and positive critiques from the schools renowned instructors, as well as receive invaluable advice regarding the entertainment industry.